Patrick Kasingsing wrote the original article for BluPrint magazine. Below is an excerpt; the full article is here. Environmental engineer Patrick Bellew is a big fan of modern-day Renaissance man Buckminster Fuller. “Bucky was always going on about the value of doing more with less! Even to his death!” He then proceeds to show his captive audience Bucky’s tombstone which was engraved with the words: Call me Trimtab. “It’s an odd engraving, but Bucky always admired the function of a trim tab, a tiny, hidden object which delivers a large effect. It’s a small mechanism on the back of ship rudders that help stabilize the ship on water,” he says, captivating the audience in Artkitektura 2018, held in Arete, in the Ateneo de Manila University campus. Bellew’s talk set out to unravel the hidden mechanisms in place in some of the world’s most environmentally-friendly structures containing intricate design solutions. He brought out case studies of some of his previous works with building environmental engineering consultancy Atelier Ten, which included working on a 1.2km long subterranean labyrinth to passively cool Melbourne’s famous Federation Square, to the BREEAM “Outstanding” rated UK headquarters of the World Wildlife Fund in Woking, England. 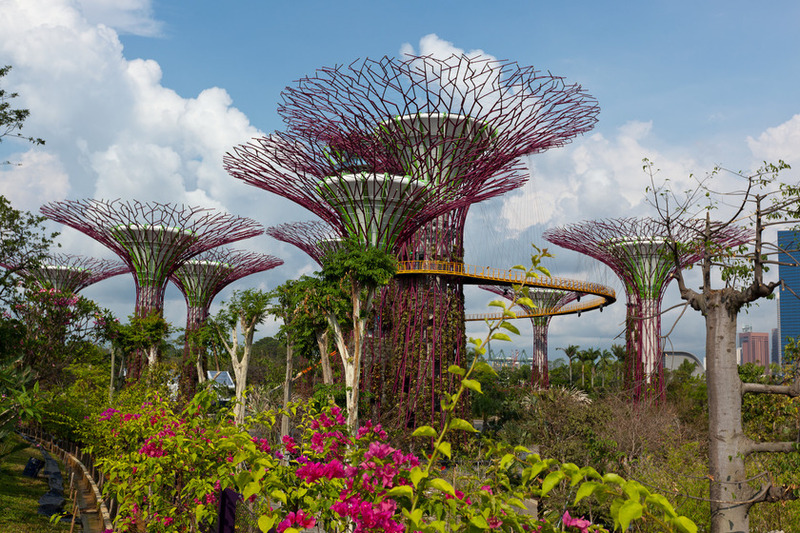 For more, including a behind the scenes look at Gardens by the Bay, continue reading.